Fluff & Tuff Peanut Chipmunk's realistic design appeals to almost every dog. His compact shape and long, fluffy tail will keep your dog entertained with games of fetch, tug and shake. Sure to be a favorite toy. 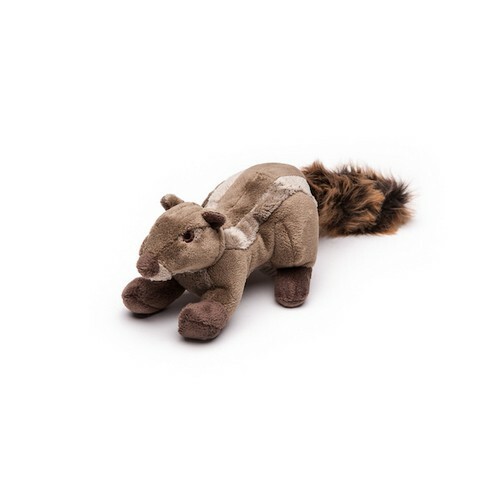 The Fluff & Tuff Peanut Chipmunk has double-stitched reinforced seams, sewn eyes, durable mesh inner lining for our under amour and a non-toxic fibre stuffing for your dog's enjoyment.